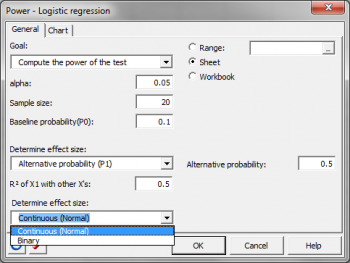 The statistical power calculations are usually done before the experiment is conducted. 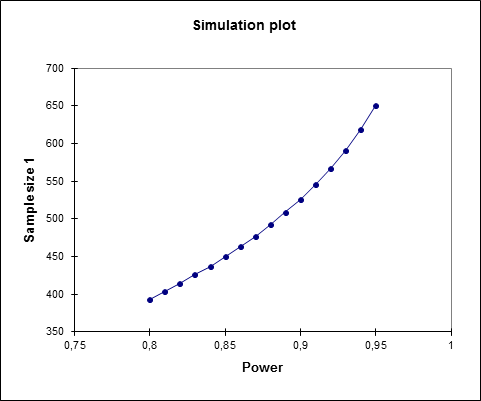 The main application of power calculations is to estimate the number of observations necessary to properly conduct an experiment. 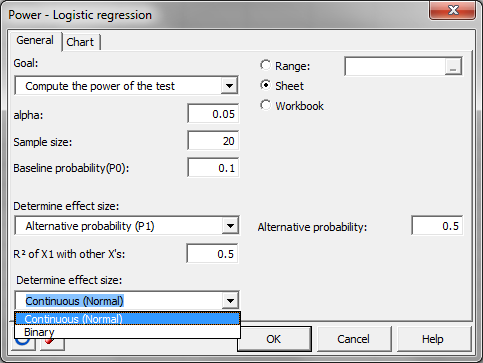 In the general framework of logistic regression model, the goal is to explain and predict the probability P that an event appends (usually Y=1). P is equal to: P = exp(β0 + β1X1 + … + βkXk) / [1 + exp(β0 + β1X1 + … + βkXk) ] We have: log(P/(1-P)) = β0 + β1X1 + … + βkXk The test used in XLSTAT-Power is based on the null hypothesis that the β1 coefficient is equal to 0. 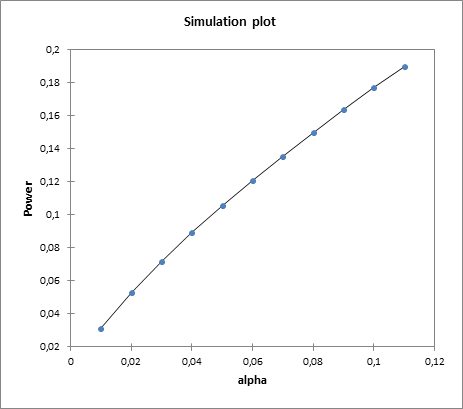 That means that the X1 explanatory variable has no effect on the model.